Learning to drive is a rite of passage for many people and is a valuable life skill, giving you freedom to travel wherever you want and even increasing your chances of employment in some cases. This is why, when it comes to searching for a driving school to provide your lessons, you need to know you are working with instructors who understand your requirements and will offer the informative guidance you need, while fitting in around your life and your schedule. This is just the service you will receive when you come to us. With more than 35 years of experience and a wide range of different lessons and tuition styles available, we are the finest choice for anybody who is in need of driving lessons in Glasgow and throughout the surrounding areas. From brand new drivers who are just setting out on their lessons to experienced drivers who wish to brush up their knowledge, we can provide lessons for everyone, always tailored to your individual needs. We pride ourselves on offering our students the most flexibility and choice in their driving lessons. We offer a choice of either male or female instructors, and can provide lessons in French if this is required. Not only do we offer understanding and professional tuition, but we also aim to make the whole process as convenient as possible for you, picking you up from a location of your choice for your lesson so you do not have to worry about travelling to us. Each driver is unique and has their own approach to learning, and we address this is all the lessons we provide. With patient and calm instruction, our driving instructors will never put you under pressure, and you will only be put forward for the practical test when you feel you are truly ready for it. You have nothing to fear and no stress when you are learning to drive with us. 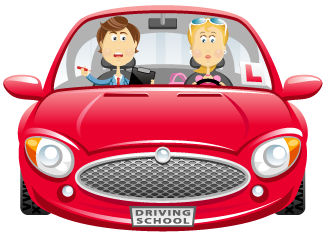 Our lessons are very affordable, and with discounts available on your first three driving lessons in Glasgow, it has never been easier to get started on the road to safe driving. Why not get in touch with us today to make a booking? Our instructors will do all they can to ensure you enjoy your lessons and learn all you need to know, while honing your skills and feeling confident on the road.